Monique Frausto, Denise Cortes, Nicole Presley and I all met through blogger events, and realized we had a lot in common. So we took a leap (that became literal) and last year, we entered a contest as a group through the American Latino Expedition – and we won, we spent a week hiking and kayaking at Glen Canyon! The events were at times pretty gritty and at other times luxurious. And we all went through them together. In our short time as friends, we have oodles of stories to share! 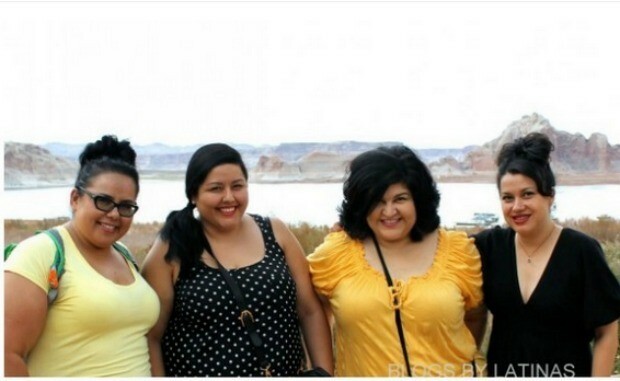 The BlogAmigas are: (L-R) Denise Cortes, Monique Frausto, Kathy Cano-Murillo, and Nicole Presley. I swear, we are a talk show waiting to happen. We are all lifestyle bloggers, but we each have our own department, so to say. 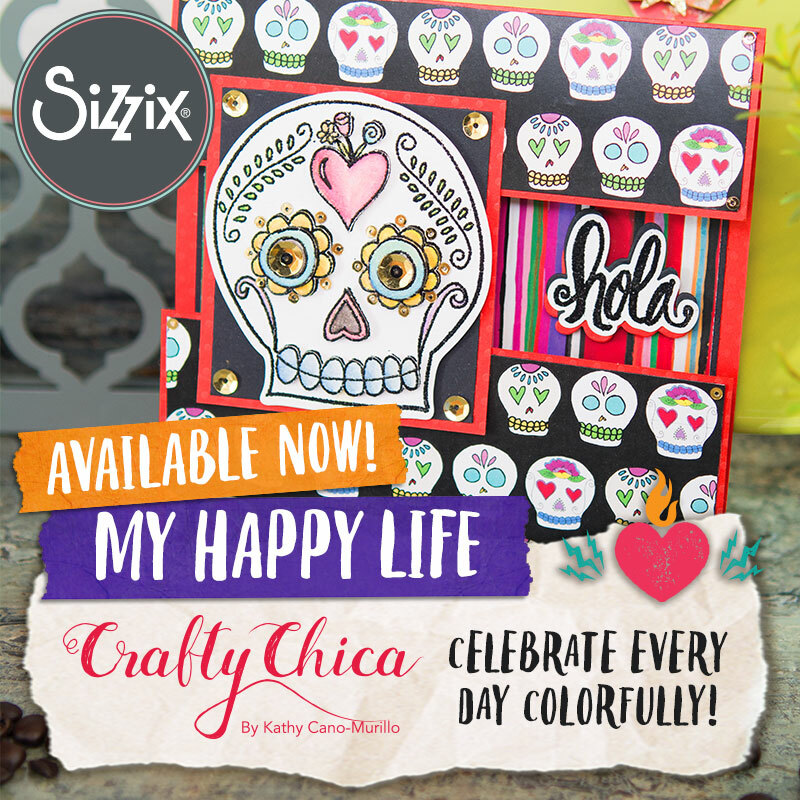 Monique is a fashion blogger, Nicole is a food blogger, Denise is a parenting and arts blogger, and me, Crafty Chica – DIY for life! We’re hoping to continue to work together and hang out. The three of them are in Los Angeles and I’m in Phoenix. We do our best to connect whenever we can, which is actually more often than I do with my friends who live in my same town. Just this summer, Monique and Denise visited me here in Phoenix, even braving the hottest week of the year! And last month I spent an afternoon at Nicole’s for a chocolate party! And as I type this,Maya, is staying at Monique’s house for the weekend! And Denise’s little brother is the same age as Maya and they’ve become best friends! What I love most is that business is always secondary. Friendship is always first. Each one of us is about doing good in the world and uplifting others anyway we can. We use our blogs as a platform to to do that. And we aren’t the only ones with this frame of mind. The online world of blogging has launched all kinds of wonderful real-life friendships! Recently we decided to unite our forces and present a round-up each month on all each of our blogs featuring one of our favorite posts. We hop it will inspire all of you, bloggers or not, to connect with your online friends in real life! 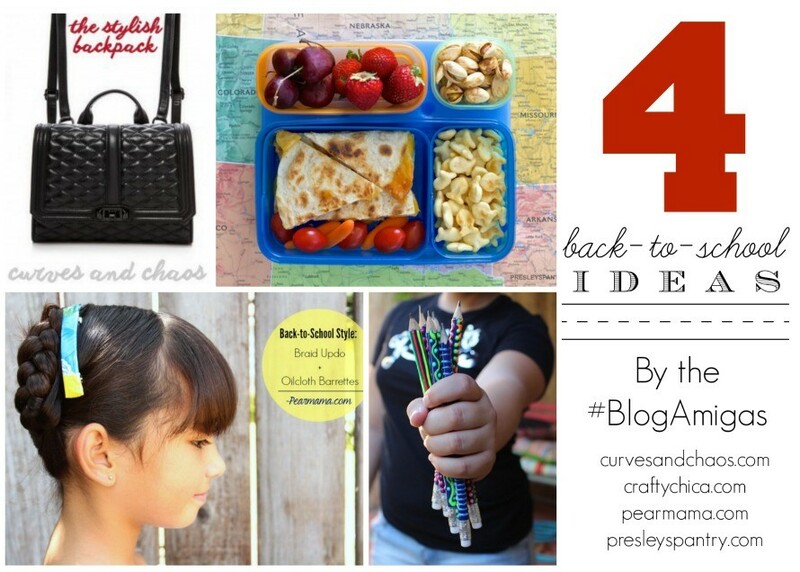 OK, here are our back to school ideas – click on the title link to see that specific project. And don’t forget to leave a comment and give them each a share! We’ll send you cyber glitter! 1. 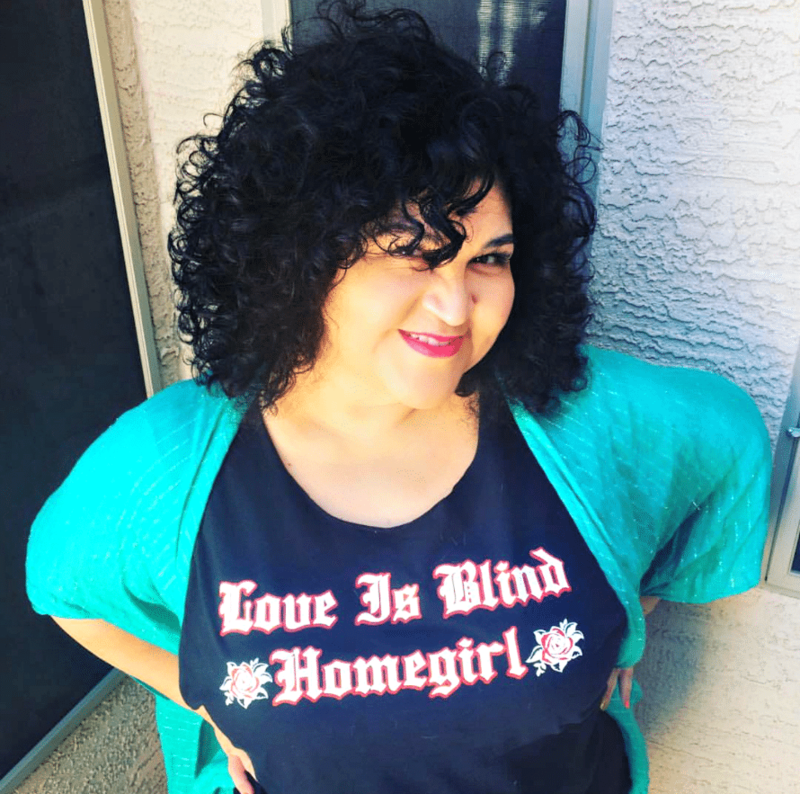 Over at CurvesandChaos.com, Monique shows that back-to-school isn’t just for the kids. 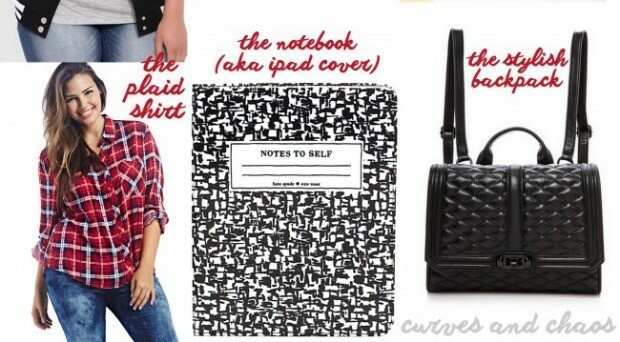 She offers 7 Back to School Fashion Trends You Can Wear. 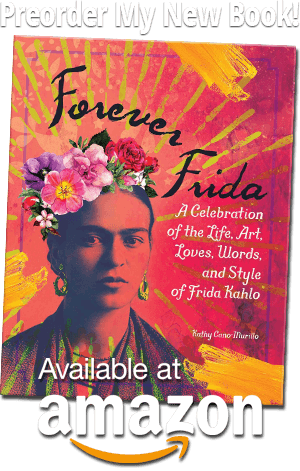 Here is a sneak peek, click on the link to see all seven! 2. 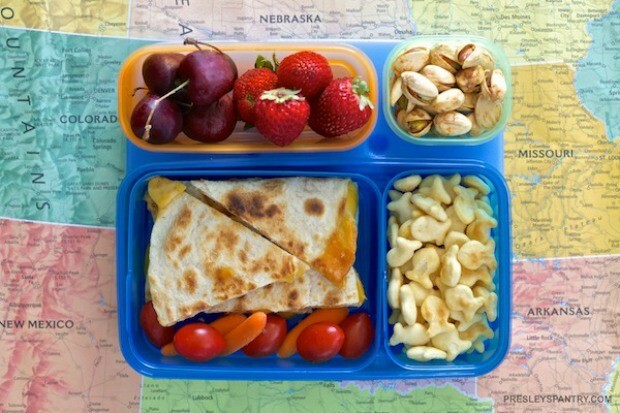 Nicole Presley puts PB&J to shame with her fancy quesadilla lunch box! 3. 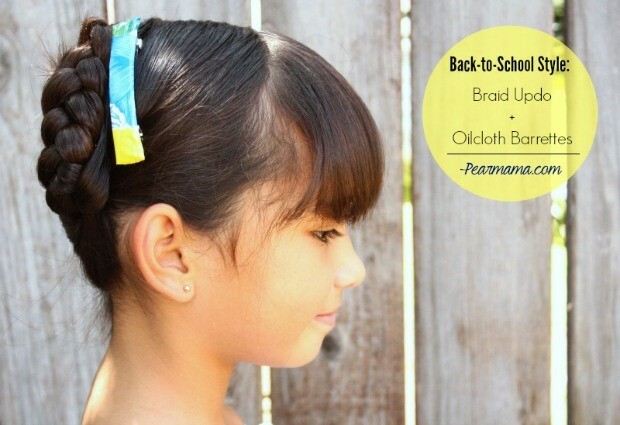 Denise Cortes show how to make some beautiful oilcloth hair barrettes! 4. 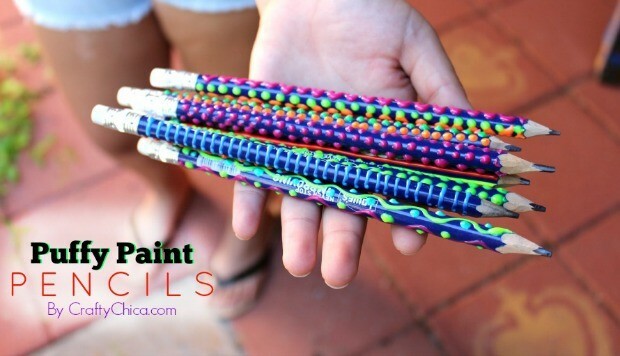 And here are my puffy paint pencils! We’ll be back next month with four new ideas and inspirations for you!